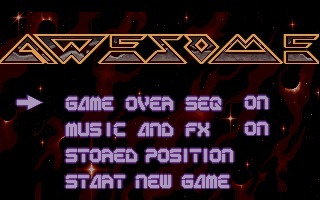 Awesome is an action sci-fi shooter created by Reflections Interactive and published by Psygnosis in 1990 for the Amiga and Atari. 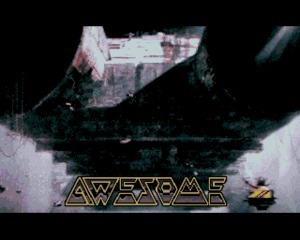 Awesome is an action sci-fi shooter created by Reflections Interactive and published by Psygnosis in 1990 for the Amiga and Atari. 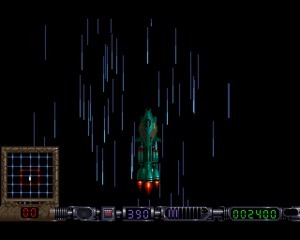 It was ported to FM Towns by 1992. 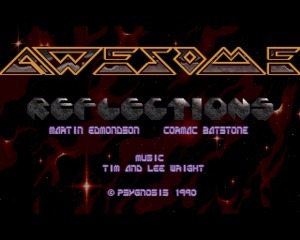 The game was designed and developed by Martin Edmondson (the creator of Shadow of the Beast) and Cormac Batstone. 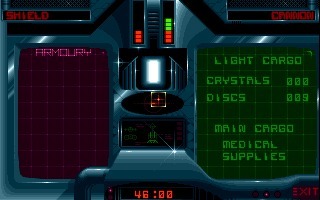 The game utilizes an overhead view for the majority of the action, but there are certain sections where the view switches to behind. Our hero, John Winner, and his crew are at the wrong place at the wrong time. 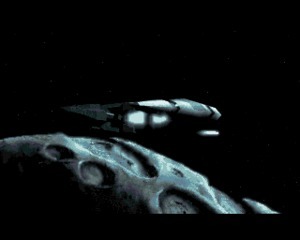 Finding themselves smack in the middle of a full-scale alien invasion, they must fight their way through hostile space. 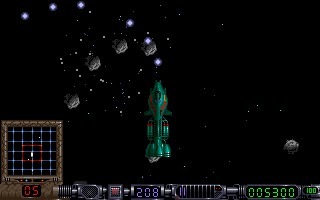 There are enemies abound and you have to take them out with serious firepower. 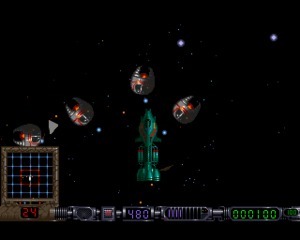 There are parts that play like Asteroid and parts where you detach the front of your ship in order to be more maneuverable during a boss battle. All of this occurs before you even reach a planet. 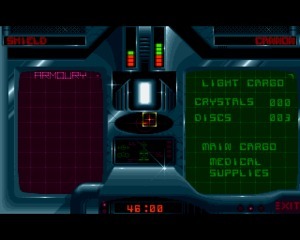 Once there you have to shoot your way (still in your ship) over to the docking area. 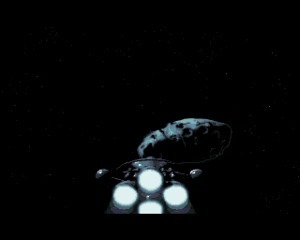 After docking, you will disengage from your ship and explore on foot in shoot ‘em up style. All of this effort is so that you can reach the trade outpost on the planet and gather supplies to continue your journey. You can purchase fuel and weapons, sell your cargo, and undertake offered contracts. Awesome received positive reviews upon release citing the graphics, music, and variety in gameplay. The game is pretty difficult, so it’s not for the beginner. Veteran shooters may want to see if they’re up for the challenge, however.